Bagley Memorial Fountain, Detroit | ride. travel. live. This is one of Detroit’s little gems, and H.H. Richardson’s only work in Michigan. 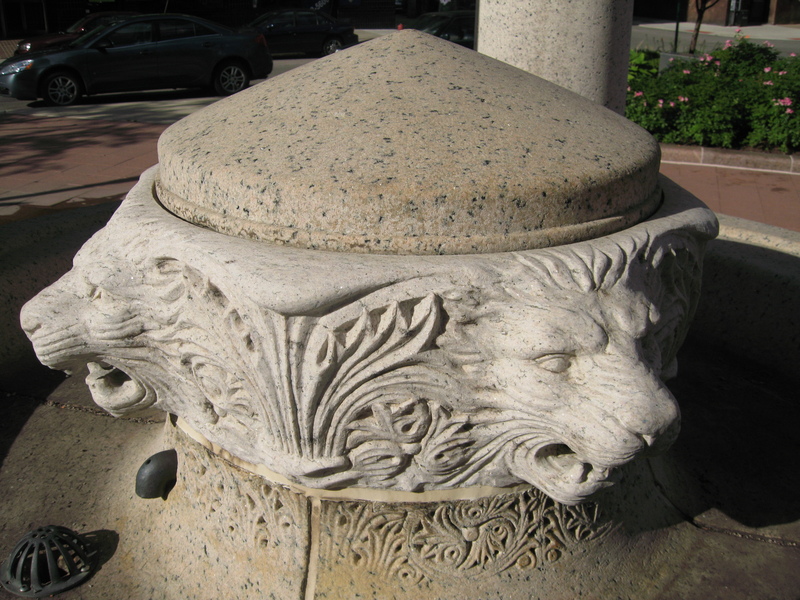 Since its completion in 1887, it’s wandered from place to place downtown. 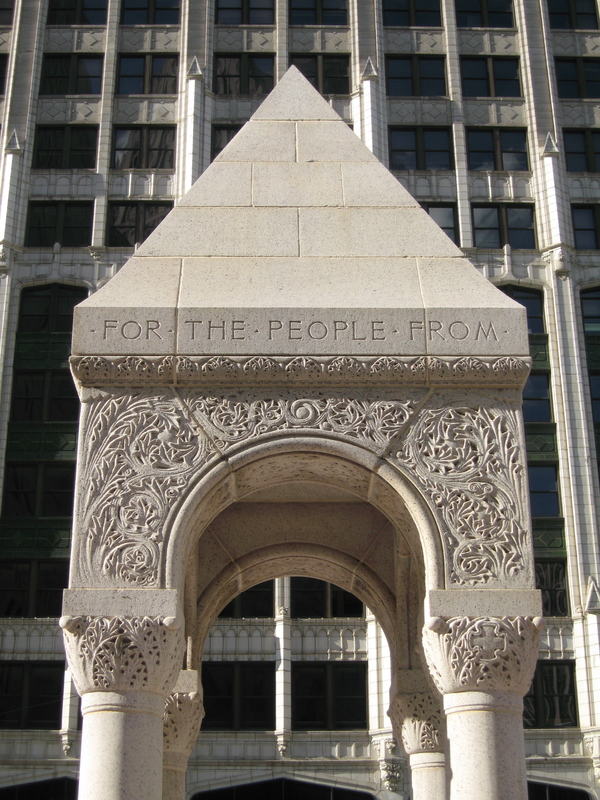 Now it’s nicely restored, cleaned up, and sits in the middle of Cadillac Square, a few hundred feet east of Campus Martius. The carvings are exquisite, with a delicacy in contrast to Richardson’s rather muscular structures elsewhere. Too bad it’s a dry fountain, hopefully the water will be turned on at some point. Fountainheads (replaced the stolen originals). Note the different color of the stone.